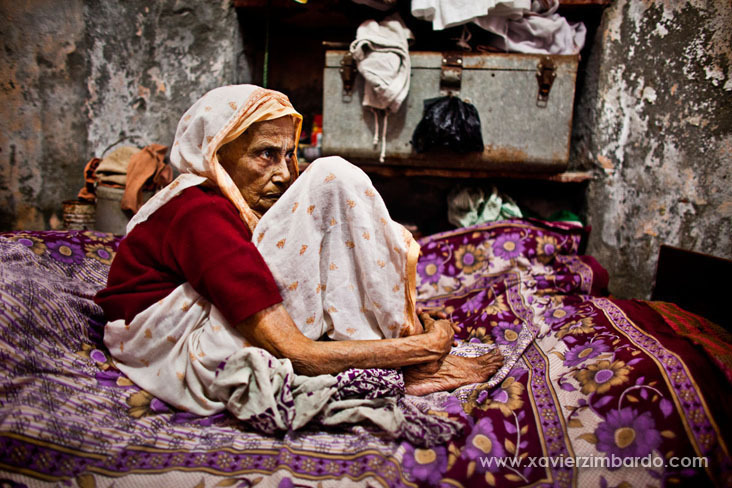 During 3 years I worked about the plight of ostracised Indian widows. This is the incredible story of social reformer Bindeshwar Pathak bringing happiness into the lives of Indian widows, a story from despair to hope. A book, Angels of Ghost Street, has been published by Edition Lammerhuber. Dr Pathak assigned a suitable monthly pension to thousands of women. WE WERE BANNED FROM LIGHT AND LIFE! Let’s help widows and Dr Pathak with SULABH INTERNATIONAL! The last refuge of loneliness and abandonment as they come to the end of a path that leads from life to total absence. On their benches of silence, widows, they often wait and hope for nothing better than death. Ultime refuge de solitude et d'abandon où elles achèvent le chemin qui mène de la vie à l'absence. Sur leurs paillasses de silence, veuves, elles n'attendent et n'espèrent souvent plus que la mort.